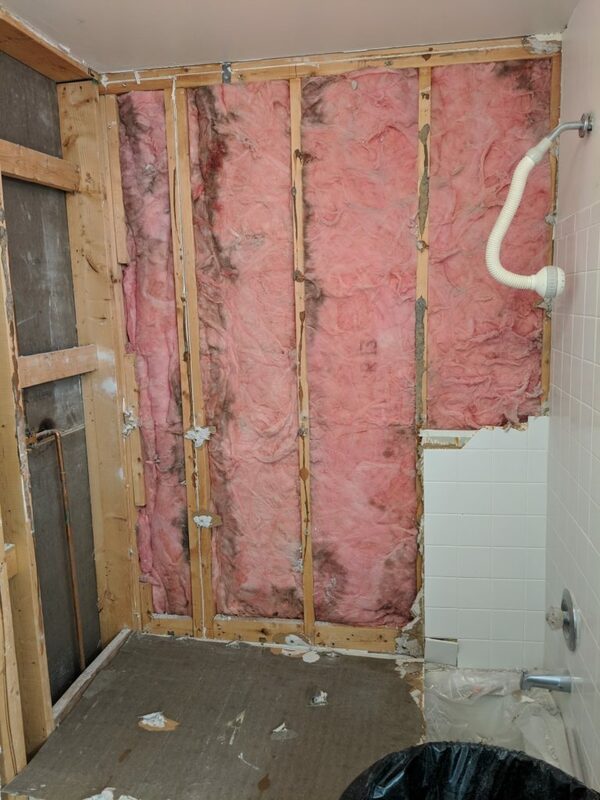 Guest Bathroom Remodel Part 3: Demo begins! 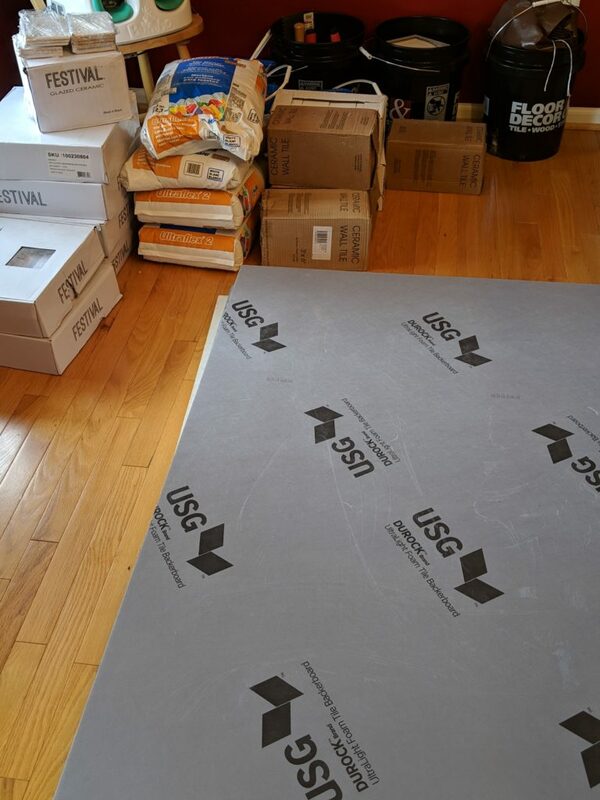 After meeting with my plumber to discuss the potential work I want him to do, and a couple of days trying to decide what the new plan would look like, I firmed up a few details late last week and put in my order for all of the tiling materials. Not a lot changed there, just the additional floor space where the vanity was, which actually only covered about 6 Sq Ft. So I added another 8 or 9 mosaic sheets and another dozen or so pieces of Cove base. For the mortar, I ended up just keeping it simple (albeit more expensive), and I’m going to use the same stuff for the floor and walls. I decided on Mapei Ultraflex 2, which is a high end polymer infused mortar. 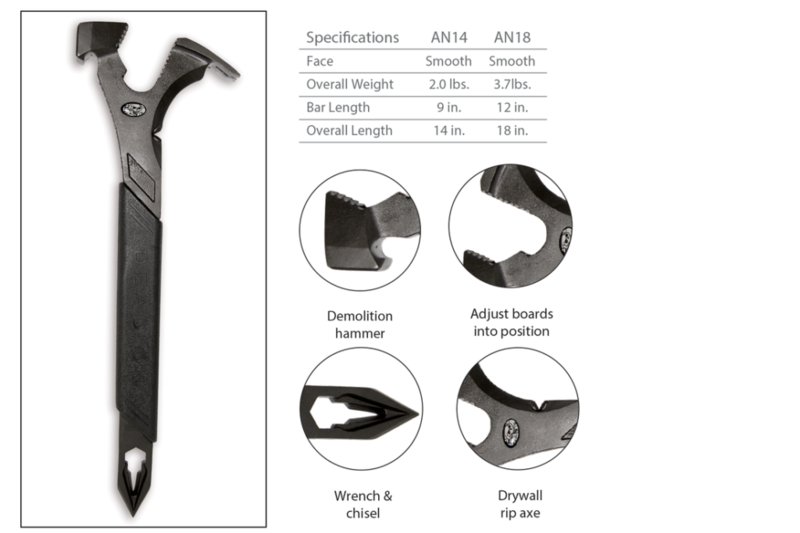 It can be used on just about any type of underlayment and tile under 15 inches. My haul from Floor & Decor. A couple of the types of tile that I needed weren’t available at the store that the majority of the stuff was, so I had to put in pickups at 2 different locations. Luckily both of the stores are about the same distance away from me in opposite directions. So Saturday morning I rented a pickup truck and drove down to Woodbridge to get the big order. I could have fit everything in the Durango, except for the backer boards, but I didn’t want to strap them to the roof for a couple of reasons. First being the weight (there are 4 hardi backers under the ultralights in that pic), second being the long drive and not knowing what the elements would be. It turned out to be pretty windy that day, so even if the weight wasn’t a problem, the wind sure would have been. Loading it all up was super smooth. I brought Ivan down with me to assist. They were even willing to load the whole pallet into my truck, but I didn’t want to deal with getting rid of the pallet, nor did I want to risk them damaging the lift gate of bed of this rented truck. Besides, I wanted to do an inventory on everything, which I couldn’t have done while in wraps on a pallet. It only took us a few minutes to load it all up. The longest part of it was unloading and checking everything off the list. We got everything home and unloaded and I returned the truck. On Sunday I used the trip up to Gaithersburg as an excuse for a fall drive, so I loaded the family up, and took the long way up 15 to 270 and we enjoyed the foliage. After loading up the tile, we walked across the street to a very conveniently located park/playground to let the kids burn play for a while before the drive back home. Once home and unloaded, I decided to do about an hour of demo before dinner. I was originally planning to get one of those Bagster dumpster bags, and I may still for some of the bigger waste. The problem with them is : 1) that they are kinda expensive ($29 for the bag and $175 for pickup), 2) far away from my work site (down a flight of stairs, and the deck stairs), and 3) it’s gonna be a few weeks before I’m ready for pickup. For the wall tile and drywall, I’m just starting with contractor bags in a 40 gallon trash can. 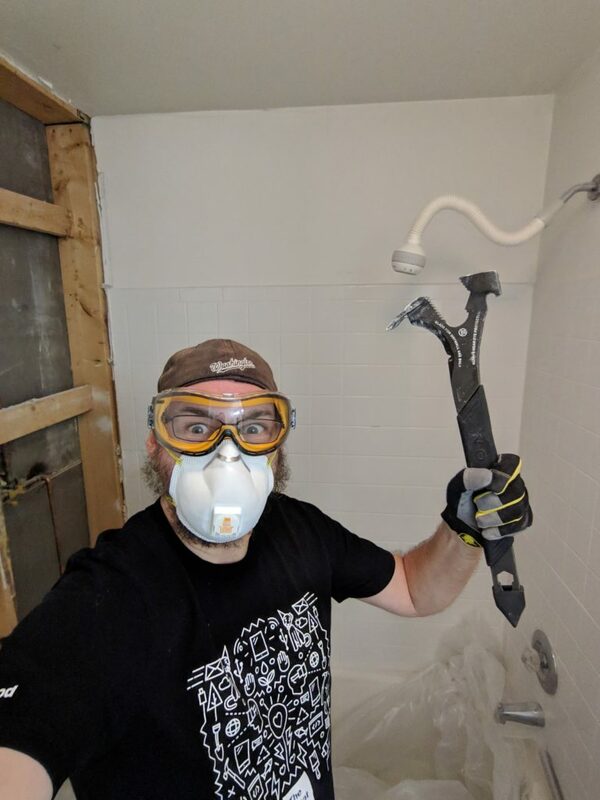 I’m trying to be careful with the demo, as I don’t really want to replace drywall outside of the specific areas I’m working in. That means, no sledgehammer. Just my trusty Dead On Annihilator. I love this thing. I bought it years ago when I was ripping up old deck stairs on the side porch. It can do some serious damage in a hurry! Since this was the first wall I started, I didn’t really think about the paper pulling as I yanked away the first bits, so I took out bit more than I had planned. 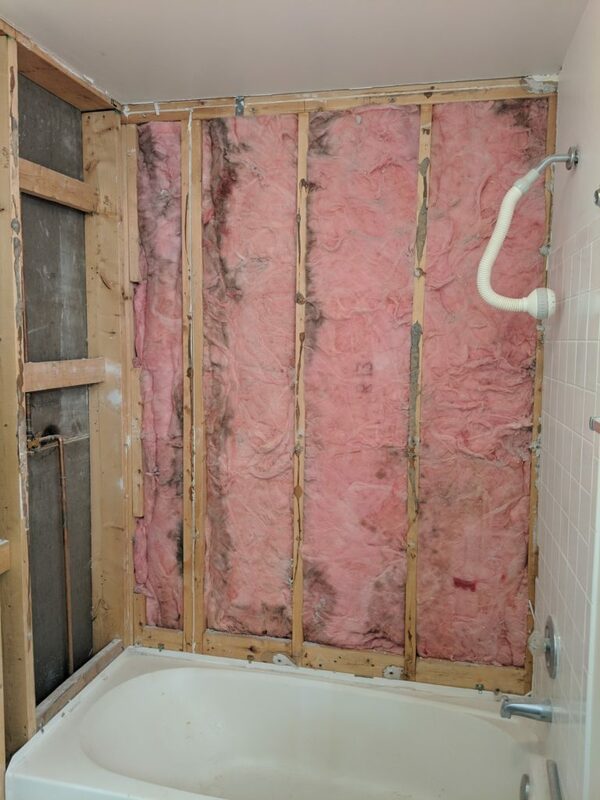 I’ll cut out that bottom section to the next stud and replace that with greenboard, as it doesn’t need to be waterproof out past the tub. I’ll need some elsewhere anyway, so it’s no biggie. That said, I started scoring the drywall where I wanted my lines to be after that. 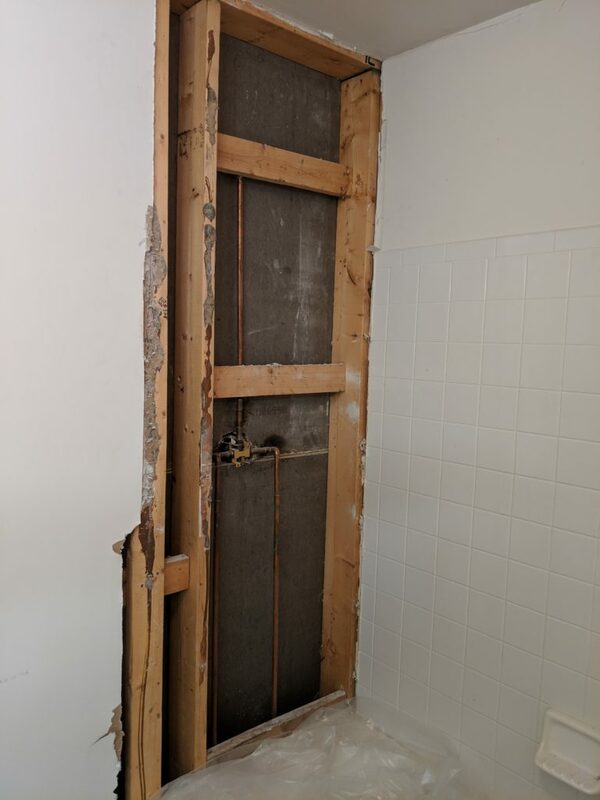 I also learned that this one wall which is only about 30″ x 81″, was a bit more than I should put in a single contractor bag. Especially considering that this wall was missing a fairly large portion already. This evening I tackled the big wall, which is 60″ x 81″. Working in smaller sections, with a bit more caution, at the ceiling I got through the top half of the wall in about 45 minutes. Safety first, then I annihilate! The section on the bottom was being really stubborn prior to finishing the top sheet, which is why I ended up going across rather than working my way down. I expected to be prying and hacking away at it, but to my surprise, the next pull resulted in this. After breaking that big section up and disposing of it, the remainder of the wall also pulled off with little effort. One more wall to go. So that’s where I left things tonight. I’ll finish up the third wall tomorrow. I need to decide on a tub and get it ordered if I have to. I decided that I’m gonna pay my plumber to do the install, cuz I honestly don’t want to have to deal with it. I *could* do it, but I decided that I don’t want to be responsible if something isn’t done right and and it floods my house. 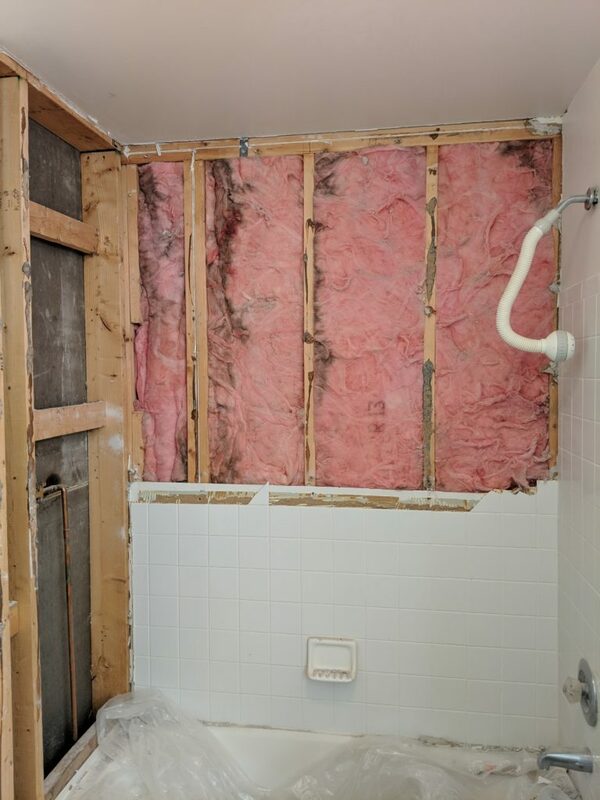 So hopefully I’ll be ready for him to come out and take care of the tub install, and replacing the valve and faucet early next week. I also need to decide on the vanity and get that ordered. I think I know what I’m going with, but waiting on a response before I pull the trigger. Then I can get the faucets, mirror(s) and lighting.